DAP MP for Petaling Jaya and National Publicity Secretary Tony Pua attempted to misled the nation with the charge of inefficiency, lack of transparency and professionalism by the Federal Government in the case of the next generation patrol vessel intended for TLDM. There are grave errors in his analysis. He made comparison of this proposed acquisition by Boustead Naval Shipyard to RNZ Navy’s acquisition of offshore patrol vessels (OPV). Firstly, his analysis is wrong. He is charging that TLDM would be paying 870% more than what the Kiwis paid. It is obvious that his analysis is wrong as the comparison is not apple-for-apple. TLDM’s next six would not be mere OPVs. Those are littoral combat ships (LCS). The specifications are totally different. The LCS intended for TLDM has a displacement of 2,500 tonnes and operational range of 8,000 nautical miles. It would be a comprehensive combat ship in three dimension; surface, air and below surface. It would be equipped with state of the art sensors and radars. The weapons system would include anti ship and anti aircraft missile systems. A lightweight torpedo system would be fitted as well. It would be carrying a rotary wing aircraft and the facility to recover the aircraft. Unlike the Kedah Class NGPV’s, ‘fitted-for-but-not-with’. In short, these LCS would not be a Kedah Class NGPV but instead in totality an improved Lekiu Class frigate. By comparison, the one that is being developed for the US Navy is being costed at USD 533 million each and it is not conclusive. Infact, currently there is a congressional special review to look into the increasing cost for the project. It is said that the first one may cost USD 733 million each. That is double that what TLDM planned to acquire. Pua also charged that there was lack of transparency in the bidding process. He erred on that score. Request for quotation was issued to all major shipbuilders for the project and ten were actually shortlisted. Boustead Naval Shipyard is a corporation which is owned by Boustead Holdings Bhd., which is an investment arm to the Armed Forces Fund (LTAT). It means that any proceeds of any acquisition will benefit the armed forces servicemen and ex servicemen. For BNS to be given the opportunity to undertake and deliver this project means it is a termendous exposure and learning process for local talents and as well as opportunity for transfer of technology. That is not withstanding that local sub contractors and service providers would be given the opportunity to grasp new technology and pave their way for advancement in their business. Pua is belittling our local talents. Furthermore, majority of the professionals and technical talents within BNS and most of their local subcontractors were former TLDM technical personnel. The fact that he would never state is that the TLDM engineering and technical team work very closely with BNS. Apart from ensuring the EEZ is well protected, the ability for TLDM to have LCS as part of the operational asset for coastal defense is pertinent for the nation. Recently, TLDM have shown their role in international waters patrol of the continental shelve of the other side of the Indian ocean. Protecting Malaysian vessels against ‘clear and present danger’ such as piracy attack plying the most busiest commercial route is very important for Malaysian economy. Tony Pua is bordering being unpatriotic with this sordid attempt to rubbish another Federal Government initiative to protect the nation as a whole, if not its economic bloodline which is merchant shipping and EEZ. To charge the Federal Government intended to take subsidies away and instead spending more defense definitely is about political malice and manipulating the rakyat’s emotion. Reducing subsidies is important to ensure that the socio-economic equilibrium is sustainable. This had been deliberated so many times over and need not to be repeated to justify against Pua. On the otherhand, defense spending is a strategic investment to protect the interests on the nation. Malaysians and foreign entities who are doing business and having investment must feel that the nation’s defense agencies are capable to protect them. We hope he is ignorant. Otherwise, his sordid attempt would be near malice. Then again, it is DAP’s on going strategy to put down all law enforcement and security agencies as their path to assume power. Otherwise Pua could redeem his anti Malay trait of being a DAP leader and demonstrate his patriotism by proving their contribution to the defense of the realm of ensuring that 25% of applicants of the armed forces recruitment drive are Chinese ethnic. 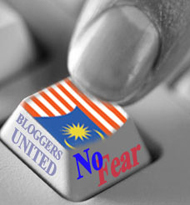 Marahku’s anger on Pua’s wrongful if not deceitful analysis is well rebutted in this piece. A well researched analysis indeed. As far as the public is concerned (including Pua), according to BERNAMA story (http://www.bernama.com/bernama/v5/newsindex.php?id=561691), it clearly states that “second generation patrol vessels”. Even the accompanied picture say the same. As a result, no doubt the first news by BERNAMA was actually referring to LCS. However, for a layman (the public and Pua), we are being told in the latest article that they are going to build “patrol vessels”. There was no mentioning of LCS. So, who is misleading who? Tony Pua is not just a layman. He is the people’s representative i.e. an MP/YB! He has been mandated by the people of PJ Utara to speak up on behalf of the rakyat for the sake of national interest, which, he certainly ought to observe and carefully examine what he is going to say especially when it involves security issue like this. If, Tony Pua can go extra mile, which he actually did, in making all sorts of comparison in purchasing price for other vessels in other countries, why can’t he at least do his fact finding withing his own country? Are you suggesting that Tony Pua has the habit of hitting out without doing a proper homework and get his facts straight? Does the government needs to whisper any state of the art technology to the layman?OR does it need to just inform the public of the new acquisition it has in its arsenal? Who is this Pua anyway, adun, MP? well if he is , he could always ask it in the dewan yang mulia or otherwise ask his party reps to voice it out for him to be answered by the Minister of Defense. Normally a dunggu of a country will never reveal its military superiority, unless provoked. Sesekali masuk lah menjadi sukarelarawan askar wataniah supaya otak komunis awak tu menjadi patriotik sikit. Saya berhak bercakap sebab saya pernah berkhidmat untuk negara, Mr. Pua ah, while you were sleeping with your wife/mistress, your family/families soundly , saya ah ,jaga ni negara supaya ia aman, tiada pencoroboh daripada DALAM atau pun luar mau kasi kacau lu punya tidor lu tau ka? Anthying the government does is wrong, why dont you ask khalid the gagapman, and his bunch of excos, why pays the rakyat money for someone who blunders personally and pengkhianat to the sultan, the states has to pay thru the rakyat money? Thats more justifiable in wastage of the governments coffers. Do not act intelligent when you are not, do your homework first. Let’s not talk about other speculative question when the YB like Tony Pua can’t even get his facts right. 1. Why you so upset? 2. Mr Pua was responding to bernama article, not to military spoke person. 3. You pernah berkhidmat untuk negara for free is it? Gaji dapat, until now you must be enjoying duit pencen. Your job wasn’t it? Buat je la kerja dengan ikhlas, Mr Pua nak sleep with his wife/mistress, so? Just keep the country safe la, why? Curi tulang kah? Kurang ajar punya comment. Assume the life risk by our servicemen is worth the pay they get. Absolutely condescending attitude. I do hope she does not get any protection from any serviceman including police, firemen and ambulance. She thinks by virtue of the gaji, they have utter obligation to risk their life. Rubbish piece of value. I wonder who her parents are in failing to properly educate her with proper value. Kurang ajar. Kurang ajar racist comment. Very chauvinistic and condescending when calling the commentator as mat rempit. Mat rempit has nothing to do with this and used merely as a racist remark. Shame on you. tony pua is fishing for information to feed the singaporeans… enough said. You play with that favourite UMNO word ‘patriotism’ just a bit too liberally – give it a rest lah. And if you want Pua to “demonstrate his patriotism by proving their contribution to the defense of the realm of ensuring that 25% of applicants of the armed forces recruitment drive are Chinese ethnic”, will you recommend him to the military recruitment board? Patriotism is indeed UMNO favourite word since that has been one of the underlying values during its formation since pre-merdeka. Kau lagi la kelakar… a safe and peaceful country is of course essential for economic growth. In fact that is one of the major factors being taken into consideration by foreign investors. Takkan itu pun takbleh nak fikir? duhhhhh…. The Wikipedia entry “Kedah class offshore patrol vessel” (aka “New Generation Patrol Vessels” or “NGPVs”) contains facts that Canis Gigantus has ignored. Where is the transfer of expertise from GNG and ThyssenKrup Marine to the Malaysian companies – PSC-Naval Dockyard and Boustead Naval Shipyard? The original design and engineering talent for this project came from Germany! Was anyone held to account for the debacle that necessitated the forced removal of the OPV contract from PSC-Naval Dockyard? The operational role of OPVs changed. TLDM vessels are now required to do inter-oceanic anti-piracy patrol. The A 100 Meko Kedah Class OPVs are not designed for that role. That’s not the point, and you know it! Who came up with the figure of RM24 billion for 27 OPVs? Was this benchmarked against similar contracts awarded by other navies? Wouldn’t it have been cheaper for the government to contract directly with the foreign shipyard instead of with a local player – PSC-Naval Dockyard? And the value-added systems engineering involved in integrating the OPVs’ armaments, navigation, radar etc – who got the contract for this? A local systems engineering outfit or a rent-seeker who subcontracted the job to a foreign company? “Inter-oceanic anti-piracy patrol” – that’s a load of bull**** doublespeak! Do you mean to say that the RMN guys who voiced the requirement for OPVs and who drew up the initial design specs had a change of heart after the first 6 OPVs were delivered and commissioned? Were the operational requirements and constraints of the RMN clearly elucidated in the first place? Is there a need for the RMN to develop a blue water capability or concentrate on coastal defence and the protection of territorial waters? How does it intend to face up to the capabilities posed by the Chinese Navy and the Indian Navy, just to mention two of the heavy hitters in the region? Maybe someone should use the EU Freedom of Information rules to dig into this OPV project and find out just how much the European parties had to disburse in the form of “commissions” to 3rd parties in order to secure the deal. Herr Pua should be taking notes! Really, ah? Your point being what? It was a game of tic-tac-toe. We can debate the accuracy of the facts quoted or the patriotism shown until the cows come home. Do we REALLY need these 6 vessels right now? RM 6 billion is a lot to spend. The amount of money spent on defense related acquisitions seems to be ever increasing. When will we have enough equipment to feel safe enough? Is it really necessary to compare what the US Navy is spending on their vessels? The country is many times ours in terms of defense related expenditure simply because they are a major super power. Some would call them the sole remaining super power. Let’s compare our military expenditure with that of a similar nation with a similar GDP and population size in a similar region. The rakyat are increasing wary of any defense related mega-expenditure simply because there have been enough questionable issues in the past to raise doubt and to leave a bad taste in the mouth. Can you really blame them? How do you price and value the blanket of security that we hv the luxury to enjoy, thus enable the nation to move forward and generate growth? We are a maritime nation where there is a vast EEZ area to protect and serve. And now, we need more protection for our own merchant navies, which is the bloodline of our economy. This is not withstanding the thousands of coast that we hv to protect as well. A sophisticated naval vessel with really competent equipment means that lesser assets could be deployed to do more work. Defense of the realm is paramount, considering the maritime threats are getting more complicated. I do not question the need to protect our EEZ, our coastline or our merchant navies. I think that our Navy has done a remarkable job considering the assets that we presently possess. I was filled with pride when our Paskal boys prevented the seizure of our vessel and captured the pirates who attempted to take it. But, what I do question the quantum that is going to be utilized to upgrade our forces. I question the ability of our beloved country to get the maximum out of every ringgit spent. There have been too many examples in the past where this has not been the case. You are as aware of this as I am, and I notice that you did not dispute this statement in my earlier comment. By all means, upgrade our forces and let us have a Navy that we can be proud of. Not that we are not already proud of the men and women that put their lives at risk for our country. But, let us spend in a manner proportionate to the wealth of our great nation. And, let us not feel shortchanged or cheated in any way when the money has been spent. I’m sure you don’t want to be caught in the situation of the poor Palestinians – defenceless in their own homeland. They were too accomodating and trusting. The Palestinians were shafted not only by the Israelis, Americans and British, but more by by their fellow Arabs like the governments and rulers of Egypt, Jordan, and Saudi Arabia. Let’s not confuse the topic at hand by raising the issue of the Palestinians. All the world knows the horror and the atrocities suffered by the Palestinian people. We know the Palestinians are an occupied people until this day.No one can deny this. What happened in Palestine should never happen in any other sovereign country, ever. However, this was not the result of the Palestinian government failing to defend their citizens / independence by procuring arms / weapons etc. The reasons for the present situation in Palestine are far more complicated, and I suspect you are well aware of this. Defense expenditure ACTS as a deterrent, period. Defense expenditure acts as a deterrent ONLY when that expenditure is used to acquire armaments which fulfill their purpose. You have to admit that our defense expenditure has not always met that simple criteria. There are sufficient examples to highlight this. I have not opposed defense expenditure in my comments, only questioned the quantum and the effectiveness of the same expenditure. Well, since these are mere ramblings of an unsettled ( read senile? )mind, we shall not take you too seriously!!! very intellectual reply, terimakasih. Sorry to hurt your pro Arab feelings by condemning those American-Israeli collaborators. Having gone through the comments, I feel that most readers are emotional and lacking in objectivity. Please stick to the facts – Tony Pua has not done his homework when commenting on the 6 LCS on order by MOD from Boustead Naval Shipyard. Tony could’ve made comparisons with the US navy which has just signed a contract with Lockheed Martin for the supply of 10 LCS at a cost of about USD400 million each. Tony could have been more objective by saying “unless the ships are sophisticated and comparable with the most advanced LCS of the world, the contracted price appears extremely high” or word to that effect. By not saying this, I suspect that his real intention is to be malicious! I agree with your thoughts on lack of the objectivity and overly emotional comments found pertaining this topic. My Anger provides a comprehensive and factually superior study of the topic. I think it is a better effort than what Tony Pua came up with. Many here will agree with this. Take the time to read Sakmongkol’s posting as well. He raises issues pertaining to the doubts that many of the tax paying rakyat will have with regards to the construction of these naval vessels. Thus far, no one is making any attempt to rebut or disprove what he is saying. agreed. actually the points raised by the blogger to demolish Pua’s mistakes have been spot on, but unfortunately our author spoilt an otherwise good post by going feral with personal (ad hominem) and ethnocentric biased comments. Incidentally, Sakmongkol has refused to criticize Pua because, regardless of Pua’s technical mistakes, he believes there is value in Pua’s challenge of the 6-billion purchase as it raises issues of governance, always sadly lacking in BN government’s spending.